I begin stocking up for my one-year supply of contact lens! I have been trying on a lot of monthly disposable contact lenses, and this time I opt for a change: Blincon Quarterly Disposable Lens is my choice because it is darn cheap! It's only RM49 for a pair-- Best offer on www.glassesonline.com.my. If I gonna wear it for 3 months, it only costs me RM17 per month which is even cheaper than my normal monthly transparent contact lens! Blincon has 3 main cosmetic lens series including Classic, Jazzy and Elegance. They're all so pretty-looking, it's so difficult to choose right!! For small eyes like mine (T.T) I choose the classic series which can make the eyes look bigger and brighter naturally. My order on www.glassesonline.com.my was quickly processed on the next working day upon confirmation of order. It took few working days to have it delivered right at my doorstep. I gotta thank the Internet inventor for this amazing creation, now online shopping is so easy and hassle-free! Time to unbox my cosmetic lens and try putting it on! The color was a light shade of brown that gives me a pair of hazel eyes. You can clearly see the difference between both eyes. 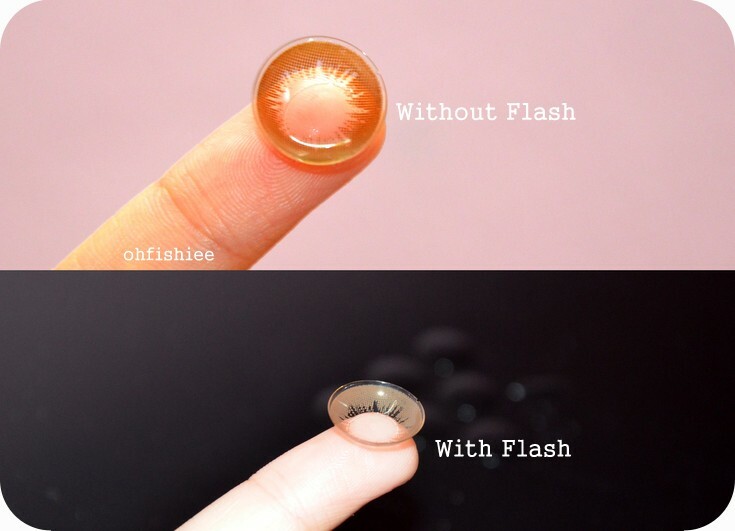 The lens has a very effective enlarging effect, and adds amazing shine to the eyes. 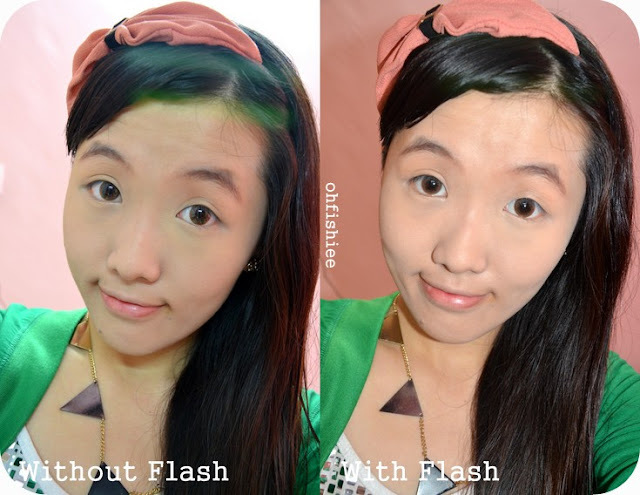 Under flash light condition, the color is more obvious yet naturally beautiful. After wearing the lens for about 8 hours, I find it still acceptable in terms of comfort and moisture. However, it is always NOT recommended to wear for ultra long hours like I do (Sometimes I even wear it to bed, which is a very bad habit). And always pay attention on cleansing, because quarterly disposable lens would eventually trap more bacteria. Cosmetic lens is meant to be used with makeups! 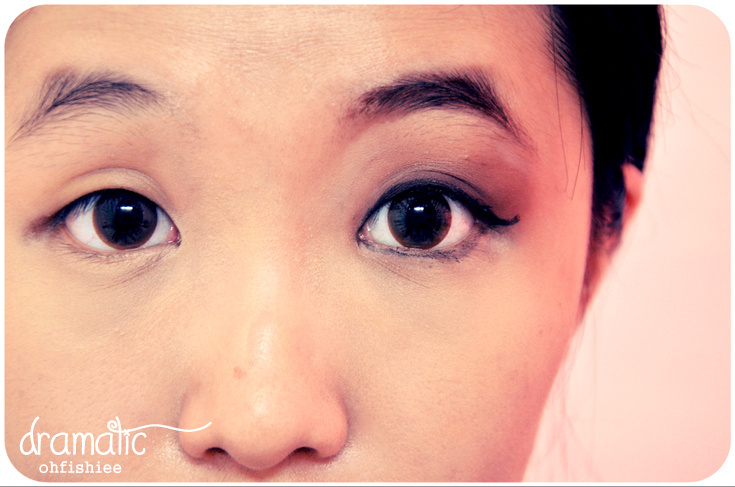 I realised the lens itself is able to stand out after being enhanced with eyeliner and eyeshadow. I usually rush for events after classes, so it makes things so much easier by simply smudging on some makeups and I'm ready to party! 1. High comfort. Wearing for long hours isn't a problem at all. 2. Relatively thin as compared to many lenses I've tried. Be extra careful when handling it. 3. Brilliant colour that enhances the eyes pretty well. As the name suggests, Glasses Online also sells a wide range of designer brand eyewear from the trendy, chic sunshades to the most sophisticated pair of glasses. Make sure you subscribe to its newsletter to receive the latest news / promotions / sales! Head to www.glassesonline.com.my and start shopping now! Hello, do you know what shop is good now ? 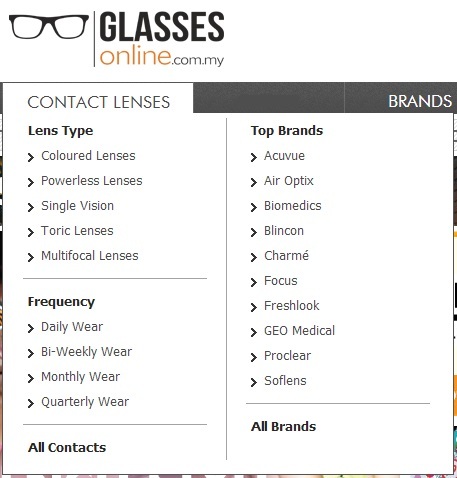 Now that I tried so many shops I really prefer products from Solution-lens as they only have genuine items and they offer 1 free pair for every order of 2 pairs, but I am still open if someone knows better deal ? Thank you !!! 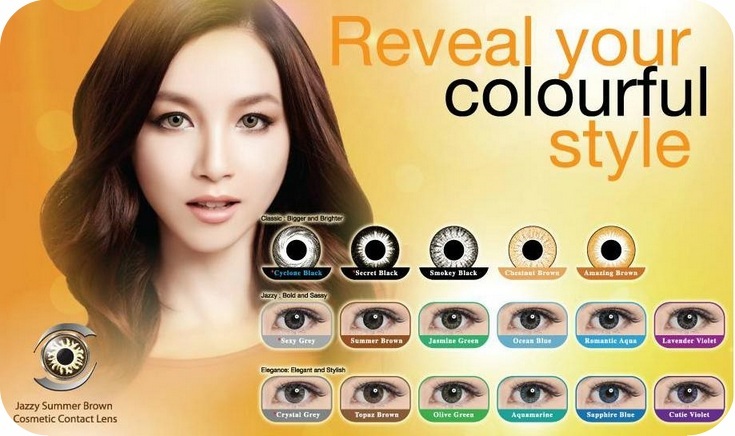 They have a range of different contacts in lots of categories depending on how intense or natural one want the colour to be. Ensure that you send your payment at least one week prior to your bill's due day. DIRECTV Sign In Then enter your telephone number as well as last 4 figures of Credit card.